Eloncity Private Sale has opened for contribution since June 28. The Public Sale event is expected to open in this Q3/2018 (Maybe in August) through the Tokeneed ICO platform. In this article, I will share you some details about the Eloncity token #ECT, the token distribution & the Private Contribution Application. 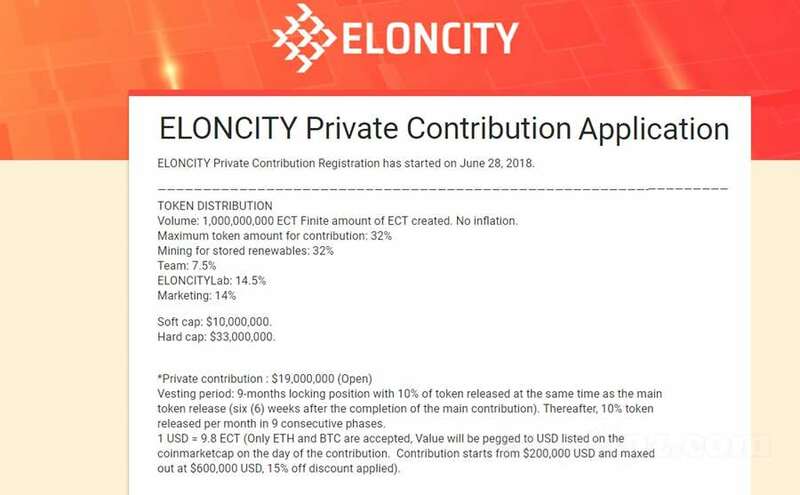 Private Contribution Application - How to join Eloncity Private Sale? Vesting period: 9 months: 10% will be distributed at the same time of the main distribution, then, 10% will be released each month. How to join Eloncity Private Sale? 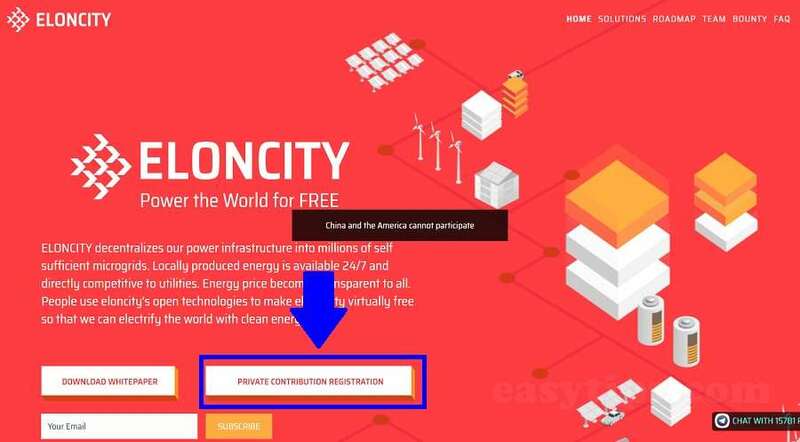 To take part in the Private Sale event of Eloncity, go to Eloncity's homepage at http://eloncity.io/ and click on PRIVATE CONTRIBUTION REGISTRATION. Social Media Links * : Paste all your social profiles (Linkedin, Twitter, Facebook ...). Each link in a line. ERC20 compatible ETH address * : Your ETH wallet address. Be careful, this ETH wallet MUST match with your Receiving Address that you set on your Tokeneed account. Please acknowledge and agree with the 9-months locked position on all private-contribution Contributions * : Confirm you agree with the Vesting period => Choose Agree. Where did you hear about ELONCITY? * : Select the corresponding option. Please explain your choice in the previous question * : Explain why you choose the above source. 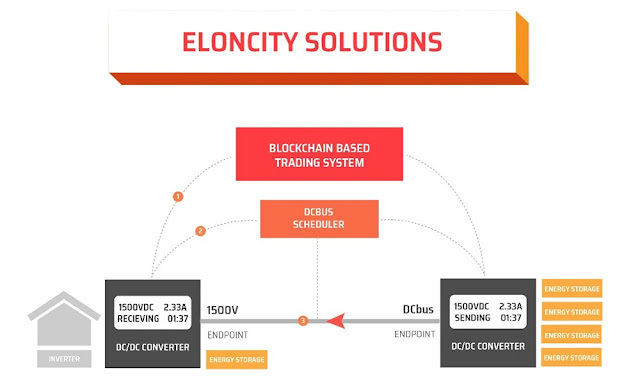 What can you bring to ELONCITY? *: Select the corresponding option. Please elaborate on your choice (s) in the previous question * : Explain why you choose the above option(s). Click Submit to send your information to Eloncity Team. Upon successful review, the Team will contact you via the email you provided, which includes the instructions for the next steps. Krypital Group becomes very famous and legit after promoting all the successful ICO projects since later 2017, which includes CyberMiles, ArcBlock, Merculet, Egretia. And Eloncity will be the next success project. 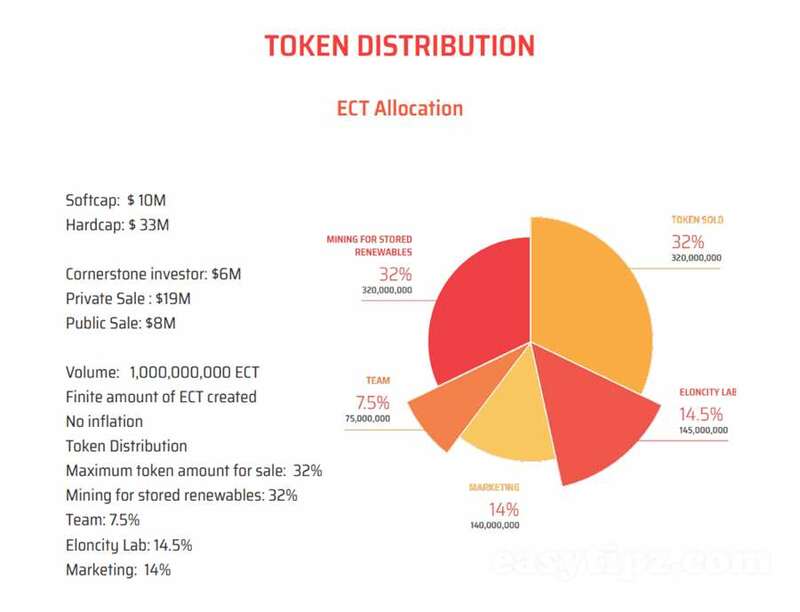 The Eloncity project is born to apply new advanced block-chain technology into the management of creation and distribution the energy power of our world. Eloncity is a model for the planning, constructing and operating community-based renewable microgrid. AI Grid Foundation (Foundation), a non-profit organization based in Singapore and an advocate for employing decentralized renewable energy as possible pathway to address our energy challenges. They find an attainable energy future that is safer, cleaner, more profitable, more accessible to all. They believe the shared and consensus-based blockchain technology is vital for building the collaborative decentralized renewable energy future. They recognize that crypto utility token is an effective and efficient catalyst to create open, leveled and unified renewable energy marketplace for linking energy consumers with product and service providers around the world. They collaborate with global technology and financial partners, local governments and public agencies, communities, and advocacy groups, non-profit organization and other stakeholders to build a collective pathway to that future.